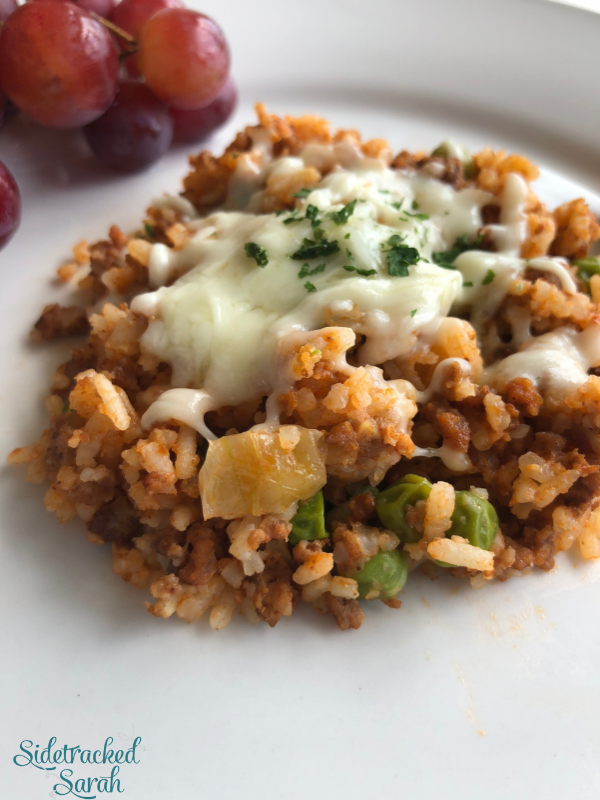 Instant Pot Ground Beef & Rice is a Delicious Family Favorite that You Can Have Ready in No Time! 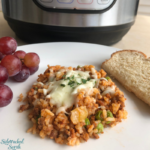 Instant Pot Ground Beef Recipes are so delicious! Some of our favorites include Instant Pot Pasta Fagioli Soup and Instant Pot Taco Pie. This Ground Beef & Rice recipe one of our family’s favorites. It’s cheesy, creamy, and savory – and so, so good. It’s one of those meals that everyone wants more of! Because it’s made in the Instant Pot, it’s easy to prepare and ready in minutes. Really, can you get any better than that? CAN I ADD A DIFFERENT VEGETABLE? We love the addition of peas in this recipe, but there are other vegetables that would go well with it too! If you have a family member that isn’t crazy about peas (or you don’t happen to have any on hand), you might try corn or diced carrots. 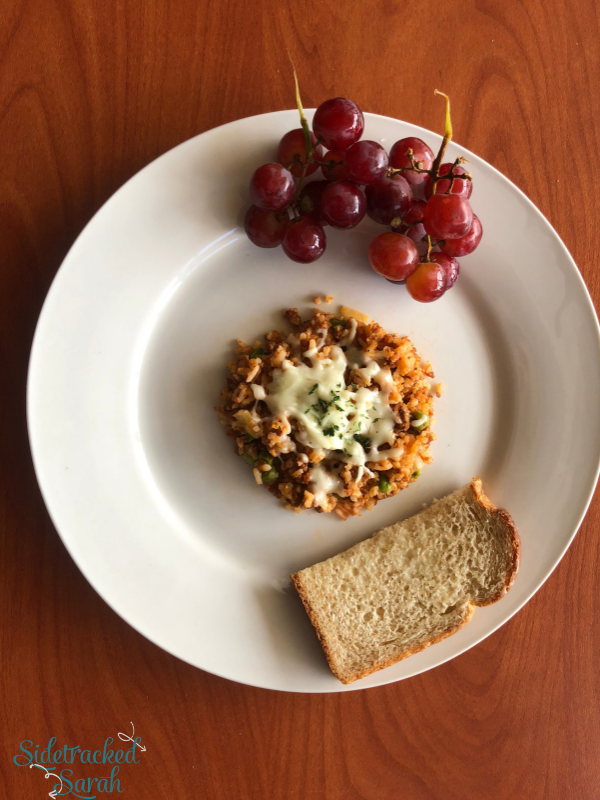 WHAT SHOULD I SERVE WITH INSTANT POT GROUND BEEF & RICE? 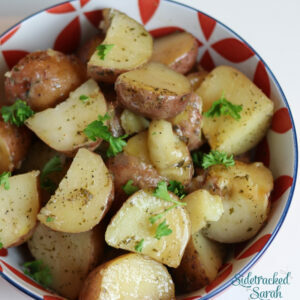 One of the great things about this recipe is how versatile it is! Personally, I love to serve it with a fresh salad and Southern Cornbread Muffins. Everything else is already included in the dish! WILL INSTANT POT GROUND BEEF & RICE FREEZE WELL? This recipe is better fresh or refrigerated, as rice tends to get a bit dry when frozen. If you would like to freeze it though, you can! I would recommend freezing it without the sour cream and cheese, as those are easy to stir in when you reheat it. I would also recommend adding a bit more liquid or sauce in order to rehydrate the rice. We rarely have leftovers, since it’s so good that everyone finishes it off! I know that your family will love this dish as much as ours does. Enjoy! 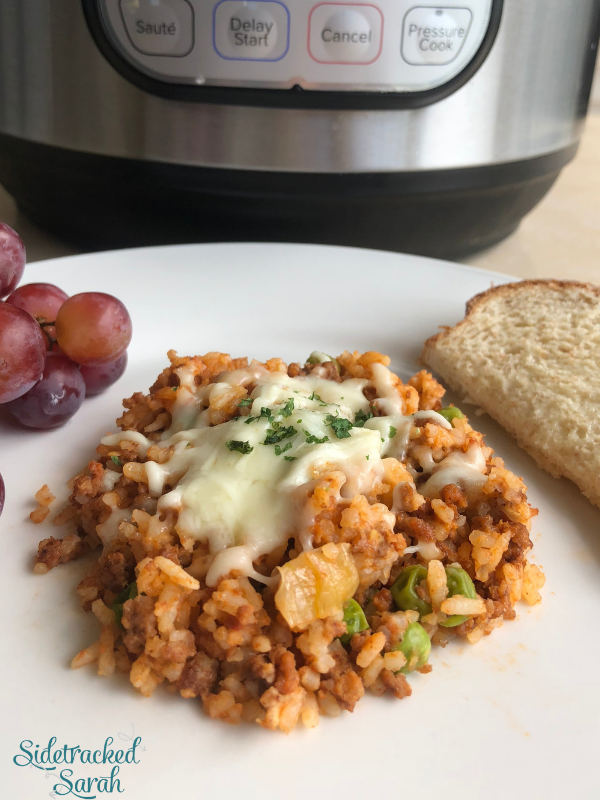 WANT MORE EASY INSTANT POT GROUND BEEF RECIPES? Using Saute function on your Instant Pot, brown ground beef. Drain. Add garlic powder, salt, pepper, tomato sauce, onion, rice, chicken broth and water to Instant Pot. Put lid on Instant pot and close valve. Set the Instant Pot to cook on Manual/Pressure Cook, High Pressure for 4 minutes. Stir, and add 1 cup of sour cream and one package of frozen peas. Warm a few more minutes until peas have a chance to warm up . Top with shredded cheddar cheese and Serve once cheese is melted. 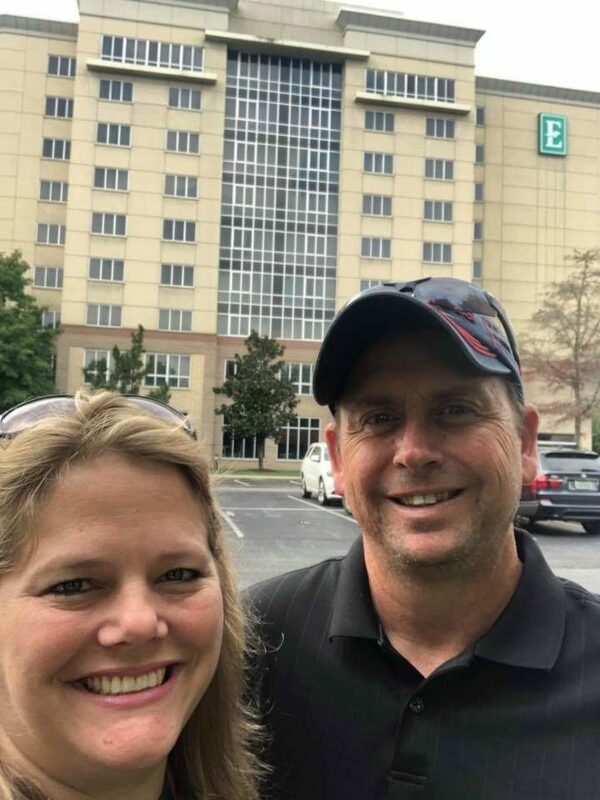 My husband and I recently took a trip to Nashville to attend a entrepreneurship conference. It is so motivating to go and learn how to improve our business! We have a big list of things to tweak and twist. One of our new commitments is to produce more video content. Stay tuned for that! Below is a picture of us outside of our hotel as we were leaving the conference.